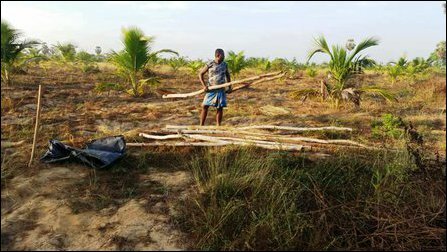 The Coconut Development Authority (CDA), which comes under the unitary occupying system of Colombo was claiming 90 acres of lands that belong to private land-owners at Karanthaay village near Mukamaalai, which was a ‘Forward Defence Line’ during the times of war. The lands were to be released back to the rightful owners in 2012-2013 when mines clearance in the area came to an end. However, the SL CDA was quick to claim the lands despite the owners proving their ownership. 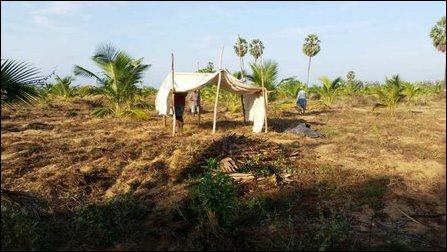 On Tuesday, the land-owners entered their lands and put up temporary huts. They said the SL authority was trying to convert their properties into state-owned farm without resolving the dispute of ownership. The families have land permits to the farming lands. The protest comes as the CDA was scheming to expand coconut farms in recent times. 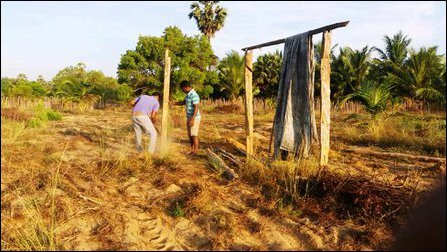 The uprooted land-owners from Karanthaay said they gained inspiration for their latest form of protest from the example set by the people of the SL Navy-occupied twin-islet of Ira'nai-theevu at the western coast of Vanni in 2017. 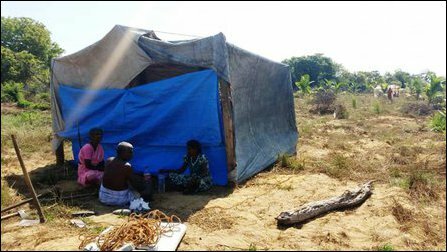 The lands in question became a no-go zone since 1995 when the SL military occupied Jaffna peninsula. 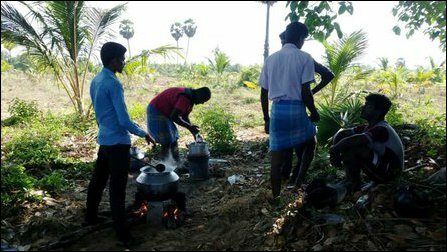 Even though the people resettled a few years after their initial displacement, the SL military was again insisting to vacate the lands again in March 2000. Karanthaay is located in Choaran-pattu GS division (KN/82) of Pachchilaip-pa'l'li administrative division of Ki'linochchi district. 07.01.19 SL Navy restricts humanitarian access to resettling people o..